use your wardrobe to its fullest potential. Never run out of ways to combine your Pieces. Scroll for a special offer on the Spring/Summer Outfit Guide. For Fall & Winter Outfit Guides click here. If you liked the outfit guide preview with 6 outfits, you'll LOVE the complete Outfit Guide! All 50 Visual Outfit Layouts (25 for spring and 25 for summer) so that you don't run out of ideas. 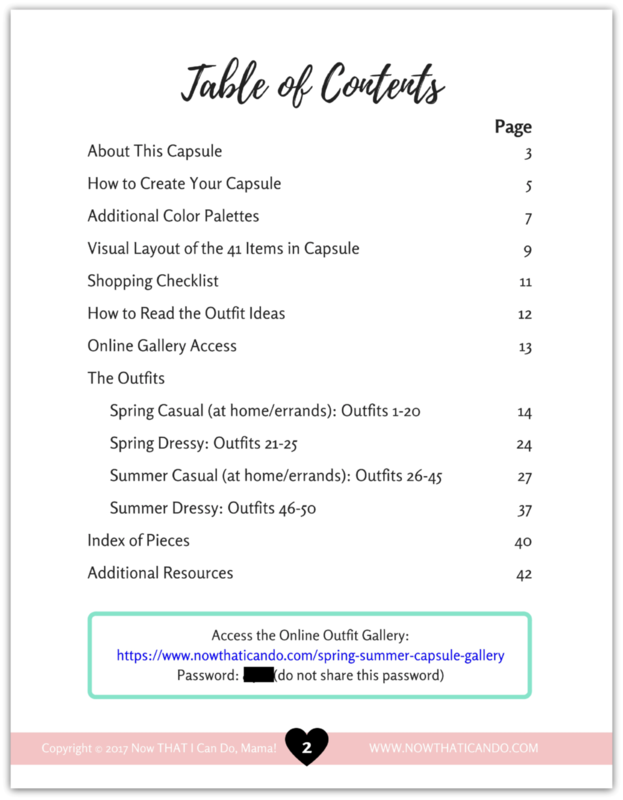 Access to an interactive online gallery so that you can easily swipe through outfits or sort outfits by specific clothing pieces. 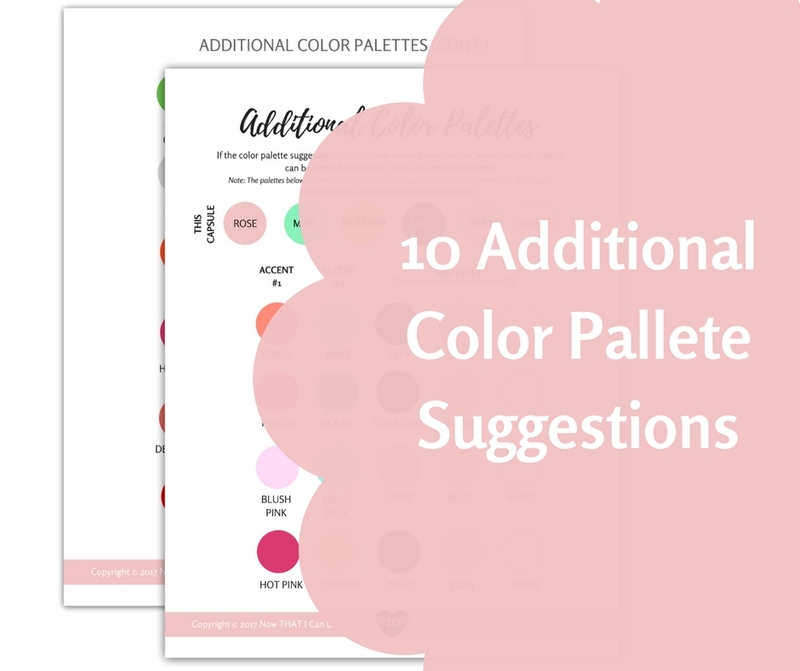 10 additional color palette ideas so that you can work with the colors you already have in your wardrobe. A specially formatted PDF for printing so that you can enjoy all 42 pages as a booklet to keep on your dresser. This coupon will no longer be available after this offer expires. Instant download. Secure payment. 30-day hassle free returns guarantee. Have a question before you buy? Email me. Ready to redeem your special discount and start using your wardrobe to its fullest potential? 30-day hassle-free refunds: If you are not 100% satisfied with your full Outfit Guide I will refund your purchase and you get to keep everything. Simply email corina@nowthaticando.com to let me know why you weren't happy with the purchase. "Got It, I'm Ready To Enjoy all 50 outfit visuals and more!"